Pakistani cinema seems to be in a sticky situation. Even as the films make money, they do not catch everyone’s fancy. The key reason being they are still lacking in several departments; finances and the consequent production values being just two. 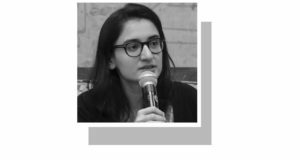 In between, there have been films like Khuda Kay Liye, Moor, Manto, Motorcycle Girl and last year’s Asim Abbasi film, Cake, which provide us with some hope that original ideas and execution is possible. Pakistani short films represent quite the opposite. They present greater storytelling, stronger acting and a living, breathing narrative and innovation at the heart of it. Several films have come and gone, proving this theory. 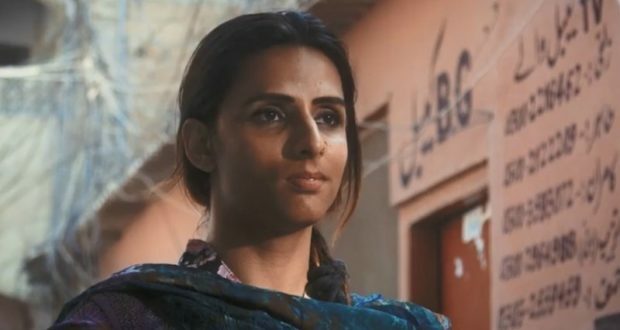 Though the subject of short-films merits another article, our focus at present is on last year’s Rani, starring transgender model, actor and activist Kami Sid in the role of a lifetime. A little over 14 minutes long, Rani not only tells the story of a transgender toy seller who decides to adopt an abandoned baby, but goes on to note the cruelty with which we treat a transgender person and the roles imposed on them in our society. While Rani’s Pakistan debut at the Karachi Literature Festival 2019 was a success, the short has won yet another award, winning in the category of Best Narrative Short Award at the 25th San Luis Obispo International Film Festival, held in California, USA, shared Allana. Since making its way to the festival circuit, Rani has picked up a number of nominations at various festivals as well as some victories such as the Fox Inclusion Award at Outfest LA, Outstanding Writer Award at NBCUniversal Short Film Festival, and an Ursula genderbender Award for Best Short Film at the International Queer Film Festival in Hamburg. Since KLF 2019, Rani has also been screened at the Human Rights Commission of Pakistan Auditorium in Lahore, hosted by Lahore Biennale Foundation, in collaboration with GrayScale followed by a panel discussion, featuring Allana, Kami Sid and moderated by Professor Nida Kirmani. The discussion, noted Lahore Biennale Foundation’s Instagram handle, “revolved around issues of visibility in the transgender community”. 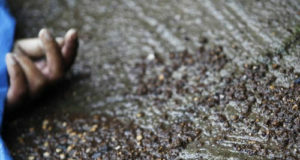 As Rani’s Pakistan run continues to take place, Allana confessed that they have more scripts in development, in-house. “We’re still developing those; we have a few in various stages. Hopefully at least one of those will start production this year, probably one told through the eyes of a young street girl,” he revealed to Instep. GrayScale hopes to collaborate and revealed: “We’re going to be working with Ali Mehdi, the director of the superb award-winning Kachrachi. Allana further noted, “We’ve also been working with a London based script consultant named Sirah Haq. She is helping us develop some of our in-house scripts. A nice mix of London indie films, and Pakistani films too,” he concluded, for now.